"In my opinion, there exists a prima facie [self-apparent] case that many of the phenomena associated with that special energy the Chinese call Qi are real. They are deeply interesting and, therefore, they invite, indeed require, investigation by Western science. Science has been the eyes, the beacon of Western culture for several hundred years. These scientific eyes cannot close. It is time for science to test the waters of the East, to open itself, if ever so slightly, to the phenomena of the manifestations of Qi. Nothing is lost if no such phenomena can be reproduced in a scientific context. Much is gained, a whole new world, if one can." The ancient Egyptians referred to it as “ka” and the ancient Greeks referred to it as “pneuma”. In India it is called “prana”, in Africa it’s known as “ase” and in Hawaii as “mana”. For Native Americans it is the “Great Spirit” and for Christians it is the “Holy Spirit”. In traditional Chinese culture it is called “Qi” (or “Chi”), literally meaning “breath”. Qi (or Chi) energy, in Taoist thought, is the "life-force". The concept of Qi is based on the ancient Chinese initial understanding of natural phenomena and Qi is regarded as the most basic substance of which all creation is comprised. It is believed Qi permeates everything and links all things together and even at molecular, atomic and sub-atomic levels everything in the universe results from the movements and changes of Qi. As Fritjof Capra explains in his book “The Tao of Physics”, everything is energy. All of manifest existence is energy and quantum physics demonstrates that there is a unity behind all existence and in that unity matter forms in one huge, coherent vibration of energy, continually forming and reforming. Qi has traditionally been described as the vibratory nature of reality and quantum physics has advanced what is called the "String Theory" which suggests that the fundamental constituents of reality are small strings, vibrating at different frequencies and like vibrating violin strings producing notes, these vibrating stings produce particles such as electrons and photons, which do not exist at any one given fixed point and that split and absorb one another, forming different particles and amazingly it even suggests that consciousness affects the behavior of these particles, which in turn suggests that within the conscious awareness of Qi energy in the “quantum mind” we have the potential to manifest our own reality. At the heart of the nature of Qi is the concept of yin/yang which imparts the idea of how contrary forces are interconnected in the nature and how they give rise to each other in turn. 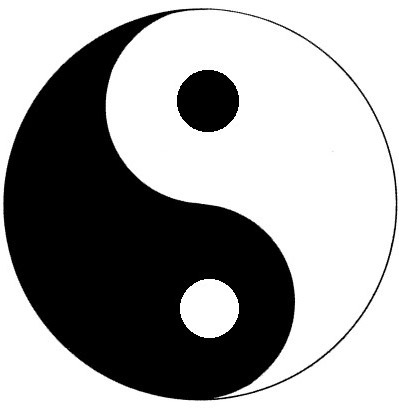 Yin and yang are the basic components of Qi and only exist in relation to each other, as opposite sides of the same coin. 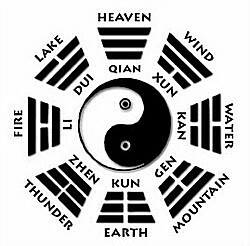 There is a perception in the West that yin and yang correspond to evil and good, but Taoist philosophy discounts good and bad, as moral judgments in preference to the idea of balance. Yin and yang interact within a greater whole, as part of a dynamic system. Everything has both yin and yang aspects and either of these aspects may manifest more strongly in certain things at certain times and over time these manifestations will ebb and flow as the tide. Dualities such as female and male, dark and light, low and high, cold and hot are thought of as manifestations of yin and yang. Yin is the feminine principle, its essence is slow, soft, yielding, diffuse, cold, wet, and passive; and is associated with water, the Earth and the Moon. Yang, by contrast, is the masculine, fast, hard, solid, focused, hot, dry, and aggressive; and is associated with fire, the sky, and the Sun. Yet, there are no rigid borders between Yin and Yang and they rely on each other to “be”. The Taoist doctrine of yin and yang includes its own theory of change. 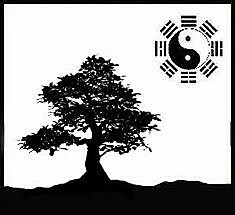 Taoism sees change as opposites interacting with each other to both compliment and oppose in a balancing act between harmony and disharmony according to the principles of which are set forth by the I Ching. Over time the common usage of the I Ching has devolved into becoming a divination system comparable to Western geomancy and is widely used for this purpose. But, on a much deeper level, the enigmatic wisdom hidden within the I Ching portends a possible code to uncovering the true nature and of the universe. The I Ching or “Book of Changes” attempts to elaborate on the nature of existence through a set of mystical axioms divined from the delineation of combined sets of broken and/or unbroken lines. 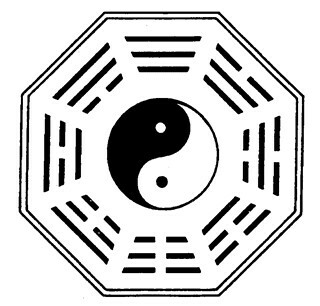 The I Ching symbols are composed of 8 sets of three lines called trigrams that are combined in pairs to form 64 sets of six lines called hexagrams. It might be easier to grasp the working of the I Ching yin/yang by thinking of these sets of lines in terms of computer programming language. Computer programs are written in binary code, which consists of only two symbols, 0 and 1, in essence representing broken and unbroken pathways. No matter how complicated a program, it can still no more than combinations of 0’s and 1’s illustrating how simple elements can be interconnected to create things of great complexity. .
As stated before, from the perspective of quantum physics, with a conscious awareness of Qi in the “quantum mind” the potential exists to manifest a new state of reality. This can be achieved by harmonizing the flow of Qi energy for mental, spiritual, physical and even environmental prosperity. Disharmony may occur from four basic “imbalances” of Qi energy, excess Yin, excess Yang, Yin deficiency, and Yang deficiency or by the blockage of the flow of yin or yang within a body or system. With an excess of Yin there is a Yang deficiency and the excess of Yang forces Yin to be more concentrated. Achieving harmony cannot be accomplished by dealing with a single part alone. Instead, the alignment of Qi energy as a whole determines how its intrinsic elements behave. Practitioners of Traditional Chinese medicine in such disciplines as Qigong, Tai Chi, acupuncture and herbal medicine believe that balanced and free-flowing Qi results in health and formed a unique system to diagnose and cure illness in accord with the awareness of Qi in respect to the physical body. The approach is fundamentally different from that of Western medicine in that their understanding of the human body is based on a holistic approach to wellness through the understanding of the movement of Qi energy. Traditional Chinese Medicine asserts that the body has natural patterns of Qi that circulate in channels called meridians and the treatment of illness is based primarily the rebalancing the flow of yin/yang within them and removing any blockage that may be restricting the flow of Qi energy. But, the rebalancing of yin/yang and releasing natural flow of Qi energy to promote wellbeing is not limited to the field of medicine. Practitioners of Feng Shui for example perceive energetic imbalances in natural or man-made environments and then apply various techniques to remedy those imbalances, as well. Any given system, be it biological, chemical, social, philosophical, political or economic could be brought into harmony with the application of these same holistic principles of the balance of the Qi energy of which they are comprised. The only obstacle to doing so is our perception of these things as separate and distinct “things”, but our perception of separateness is merely an illusion. It is a perception based upon habitual ways of conceiving of ourselves separate and distinct “things”, set apart from everything else. As we deepen our awareness of the Taoist ideas of Qi and yin/yang we become more aware of this illusion of separateness and the interconnectedness of all things in the “quantum universe” and with that awareness we awaken to the potential of manifesting reality on both the macro and the ﻿﻿micro﻿﻿ scale of existence.